Bangkok Below remains one of the most mysterious of the Cities Below. Some say that its very tunnels continue to grow by themselves and can shift direction or terminus through their own whimsy. It is a crowded community, but one of the most friendly to newcomers. The underdwellers here generally avoid physical conflict whenever possible. The markets are teeming with goods, from foodstuffs to magical reagents, and the merchants are renowned as hard bargainers. However, it is not uncommon for a merchant to commit highway robbery with relentless haggling and then laugh, slap his customer on the back, and offer him a free meal. Like its sister Above, Bangkok Below has a firmly entrenched dark side and nearly any drug, unseemly entertainment, or service may be acquired in its darker alleys and caverns. Description: The Beast of Bangkok is a huge, black monkey, with blood-matted hair, long powerful arms and bright, intelligent eyes that seem to see all. He is wickedly clever and has been known to play with his prey for hours or even days, driving them mad and lost deeper into the Green Caverns, killing them only when whim or hunger inspires him. Skills: Jumping-9D; Climbing-11D; Running-8D; Attack-9D; Damage-8D; Dodge-8D; Resistance-7D; Tactics-7D; Search-7D+2; Tracking-7D; Intimidate-8D. Magicks: Unknown. He has excellent vision in the dark and his thick hide reduces all damage by 1D. Market for those Above and Below: Unlike the underwellers of other cities, those of Bangkok Below often freely intermingle with the updwellers (though the updwellers, of course, do not notice them). All citizens of Bangkok make use of the famous floating market. Merchants and customers paddle in shallow boats or canoes, selling, trading, haggling and sometimes arguing over the price of fish, rice, light bulbs, rubber bands--whatever one might like to acquire. It is possible to become lost upon the watery labyrinth and many never see the same merchant twice. Bangkok Above is famous the world over for catering to every salacious and carnal desire. As one might imagine, Bangkok below meets and surpasses this reputation. Patpong is not for the faint hearted or weakly defended. It is alluring, addictive and extremely dangerous. But with the danger and the seedy characters, the District also provides the most fertile access to Bangkok Below's darkest secrets and magicks. Somewhere deep beneath Bangkok, caverns twist and turn for mile upon endless mile. But unlike the dank holes the compromise most other labyrinths, the Green Caverns are overgrown with lush vegetation, running spring water, and all kinds of life. Often, dwellers cannot see the roofs of the tunnels, though a thin gray light filters down to feed the plants. Some say the caverns have been so since the beginning of the world--a piece of Creation itself that slipped beneath. And somewhere--in these mysterious and fertile depths, where plants and animals that have never been named by man grow, evolve, die out--somewhere, the Beast of Bangkok dwells. Some recall having heard its screeching call--almost manlike--and shivered in fear of their lives. Statue of Hux (Guardian of the Green Caverns). Description: A large, imposing statue (see right) positioned at the entrance to the deepest parts of the Green Caverns. No one knows how long Hux has existed, though by all accounts it has been as long as the whereabouts of the Green Caverns have been known. While the uppermost parts of the Green Caverns may be accessed by anyone who dares, the lower regions are considered to be a holy place and off limits to most. Hux guards the entrance to these lower levels. When someone approaches the entrance, Hux will animate. He refuses to let most anyone pass by, but, on occasion, for reasons know one completely understands, he will permit certain people to pass. Skills: Martial Arts-8D; Melee Weapon-Spear-8D; Resistance-9D; Willpower-9D; Sub-geography (the Green Caverns)-9D; Sub-biology (Creatures of the Green Caverns)-10D; Gossip-5D; Search-6D (10D against any who try to sneak into the Caverns); Profile-8D; Courtliness-6D; Bargain-7D; Intimidate-8D. Magicks: Skin of Stone (all attacks against Hux are reduced by 3); Babelfish & Tongues (Hux appears to be able to speak all human languages effortlessly); Curse--Secret Name (Hux has a secret name. If it is spoken to him, he will be unable to stop that person, or anyone with them, from entering the Green Caverns.). Description: Beautiful, sly, elegant, deadly. All these and more have been used to describe the mysterious Marisa, queen of the Bangkok Velvets. She can quickly realign her allegiances and has the ruthless tactical mind of a general at war, a Roman courtier, and a master spy all at the same time. She has nearly limitless resources at her disposal--loyal followers, valuable resources, secret information, and potent magicks. 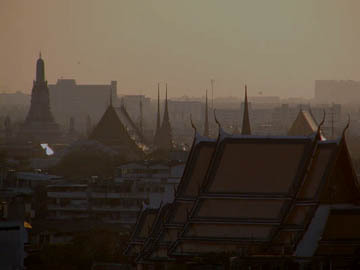 Marisa is considered by many to be the single most powerful person in Bangkok below. Skills: Brawling-6D, Dodge-7D; Melee Weapon: Dagger-8D; Resistance-9D; Willpower-9D; Arcana-7D; Alchemy-7D; Education-6D; Sub-geography: Bangkok-9D; Sub-biology-8D; Gossip-10D; Value-8D; Tactics-8D; Sciences-5D; Steamworks-5D; Search-6D; Profile-8D; Courtliness-8D; Bargain-8D; Intimidate-7D; Command-8D; Con-8D. Magicks: Leech: Velvet (heat)-8D; Mind Control (seduction/attraction)-6D. Description: Bent with the burden of untold years, Umporn has existed in Bangkok below as long as anyone alive can remember. It is rumored that she was once Queen of the Velvets. Some whisper, in the hushest tones, that she is actually Marisa's mother and has been unseated and cast off by her ambitious daughter. Regardless of their purported ties, the two Velvets wage a long, cold war for power and control in Bangkok below. While she lacks the puissance of the younger Velvet, Umporn is not without her own resources. She employes the animals of Bangkok below--the rats, snakes, and even cockroaches--to serve as agents, spies and even soldiers. And as powerful as Marisa's magicks may be, Umporn's mystical power may well be unparalled among the mortals of the World Below. Umporn's affections can be dangerously capricious, shifting from keen interest to harsh rejection in a matter of moments. Many have dealt with her profitably, but more than one erstwhile trader has suffered the consequences of her foul moods. It is said that Umporn knows Hux's secret name and shares other secret ties with the old stone guardian. Skills: Brawling-2D; Dodge-2D+1; Melee Weapon: Dagger-8D; Resistance-5D; Willpower-11D; Arcana-12D; Alchemy-10D; Education-8D; Sub-geography: Bangkok-11D; Sub-biology-11D, Gossip-8D; Value-6D; Tactics-6D; Sciences-7D; Steamworks-5D+2; Search-6D; Profile-10D; Courtliness-5D; Bargain-10D; Intimidate-10D; Command-7D. Magicks: Leech: Velvet (heat)-10D (Umporn need not touch her victim and can draw heat from anyone within her line of vision. ); Mind Control-8D; Beastspeak (All)-8D; Augury-8D; Animation-8D; Avoidance-9D; Fluster-7D; Illusions-8D; Seance-8D; Shapeshift-9D. Description: As Chinese culture is one of the oldest on Earth, it befits its Underside to be roamed by one of the oldest beasts on Earth. The Beijing Beast is a truly awesome and horrible creature. At least 100 feet long, covered in armored scales, armed with gnashing teeth and hooked claws, the Beijing Beast appears to grow in strength as it ages. Some say it draws its strength directly from the culture above it. Though intelligent, it tends to act rapidly and harshly, apparently giving little thought to its actions. When earthquakes rock Beijing Below, the citizens quickly attribute it to the raging charge of the Beast. Skills: Jumping-15D; Running-7D; Attack-7D; Damage-14D; Dodge-5D; Resistance-12D; Search-8D+2; Tracking-8D; Intimidate-10D. Magicks: Armored Scales: -4D to all damage taken; Nightvision (sees as normal in the dark); Teeth & Claws (STR+2D damage, reduce armor by half). The Dragon has a few weak points (eyes, his mouth, missing scales), or so it is rumored. None has ever lived to test the theory.. 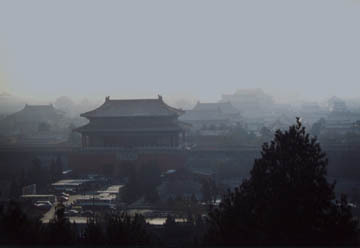 The Forbidden City, both Above and Below, is one of the most complex, diverse and dangerous communities on (or in) Earth. 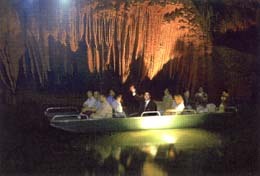 There are extensive tunnels built between the 1920's and 1950's that are often accessed as tourist destinations for updwellers. But numerous, older tunnels surround and extend from the new caverns. At its core, the City Below houses some of the most ancient temples and royal houses in China Below. In its ample, but expensive, market, traders will find the finest and rarest goods available to underdwellers. Fine silks, perfect porcelain, and the rarest jade and ivory crafts are all available, for a steep price. The tunnels that wind out of the central city are so old that many believe they were dug by beings that preceded humans--hominids, half-beasts, perhaps even gods. Even the most able of guides dares not venture too far into the depths of the Forbidden City where secrets and terrors await those foolhardy enough to stray. In Beijing Above, there are four urban districts: Dongcheng, Xicheng, Chongwen and Xuanwu. Each has its own flavor, personalities and dangers. Each district corresponds to parts of Beijing Below: Dongcheng Below is steeped in a constant, foul smog that seems to slip through the tunnels and, according to some, take shape and speak to newcomers. Xicheng Below's walls glow with a pleasant, jade-like moss that vibrates, almost hums and is said to lull the unwary into sleep for centuries. Chongwen Below serves as the merchant's district, where most of the city's underdwellers convene to trade goods and services between Floating Markets. Xuanwu Below houses the cast-offs and refugees--those even the underdwellers spurn. Description: Xian once succeeded in maintaining order and peace in Beijing below. With a quick mind, he managed to avoid the kind of ruthless tactics employed by his predecessors. But in his dotage, Xian's mind has begun to slip and his powers wane. He is now surrounded by sycophants and schemers, and a creeping paranoia has crept into nearly all of his thoughts. He has begun to act rashly, sometimes savagely, towards any suspected dissident. Despite the outgoing nature of his youth, he now sequesters himself in his opulent, underground palace. Many say he is almost entirely control by his lieutenants, each contriving to claim the throne for himself. Xian has permitted his guard to actively hunt and imprison or slay any deemed a threat to the throne, including the peaceful order of Shaosin Monks. Magicks: Unknown. Xian has access to some of the most potent magical grimoires in the World Below, but his grasp of charms and magicks appears to have slipped with his old age. Description: Though still in her early teens, the Princess has already developed an intelligence and maturity far past her age. Beloved by the commoners, Xu is seen by many as the heir apparent to Xian's throne. But her wayward brothers and innumerable schemers at court actively plot to keep her from ascending. Numerous plots have been hatched to assassinate or discredit her and Xian's lieutenants actively poison his thoughts against her. But through her own wits and the skills of able and loyal bodyguards, Xu has remained unscathed thus far. She has shown little interest in claiming power and avoids court politics whenever possible. But many believe that Xian will hand the reigns of power over to her upon her 16th birthday. Many believe she won't live that long. Description: A tall, imposing man of intimidating stature, Huang is thought by many to be the second-most powerful man in Beijing Below. Though he readily denies it, many believe he is the prime contender for the throne and may be behind some of the plots against Xu. Huang is extremely intelligent and calculating, and it appears that he acts in what he deems is the best interest of Beijing Below. But his ruthless nature may lend itself to somewhat draconian measures to attain his goals. Skills: Martial Arts-8D, Dodge-7D; Melee Weapon-8D; Resistance-8D, Willpower-9D, Arcana-4D; Education-4D+2, Sub-geography-6D, Gossip-5D; Value-6D; Tactics-8D; Sciences-4D; Streetwise-5D; Search-6D, Profile-5D, Courtliness-8D, Bargain-6D, Intimidate-8D, Command-8D; Con-5D. Magicks: Firmare-8D. Huang has assistants and bodyguards with exceptional magical skills and likely has more powers that have yet to be seen. Description: An old, sliver of a man, Lao Feng is one of the last of the Shoasin Monks that have suffered persecution under Xian's decline. The Shoasin have long been keepers of wisdom and teachers of spirituality in Beijing Below, but their refusal to sanction Xian's increasingly erratic behavior has forced them to hide in the shadows and niches of the tunnels below. Lao Feng remains in hiding, moving among the common folk of Beijing Below, offering spiritual guidance, healing, and teaching when possible. The commoners honor him and keep his whereabouts secret, though spies among them continue to seek him out. Despite these hardships, Lao Feng maintains a peaceful, optimistic nature, often greeting newcomers with a smile and offered tea or rice. Magicks: Augury-7D; Animation-6D; Avoidance-8D; Beastspeak: Rat, Pigeon-7D; Fluster-6D; Healing-8D; Stillspeak-7D. Calcutta Below traces its history back to the first English settlers that took over the land Above to create a trading port in India. As such, Calcutta Below has a stronger English flavor than most other Cities Below in Asia. The semi-feudal structure found in London Below appears to have been imported, and it is not uncommon to find dwellers who have given themselves a title such as "count" or "lord." As in London Below, there appears to be no central ruler, but a variety of families and other powers that maintain a strained level of control over the "rabble." The harsh caste system of India Above has trickled into Calcutta Below, but without its most severe applications. Poverty is common--as it is in most of the World Below--and the squalor even outmatches what may be found in much of Calcutta Above. Consequently, Calcutta Below is an extremely dangerous place to visit. It is best to find a trusty guide, keep your eye on your purse, and a hand on your weapon. Despite this rough edge, Calcutta is also one of the most spiritual communities in the World Below and many travel there to seek and find spiritual renewal and enlightenment. Beast: The Black Tiger of Calcutta. Hunter describes him as "A man-eater, brilliant and bitter, the size of a small elephant." Description: Massive, yet sleek and quick, the Black Tiger of Calcutta can cut a man in half with one swipe of his claws. Most of his prey never hear or see his assault. It prowls the deep tunnels below Calcutta, snatching up the unwary and foolhardy with a silent voracity. Skills: Jumping-9D; Climbing-10D; Running-9D; Attack-10D; Damage-10D; Dodge-7D; Resistance-8D; Search-9D+2; Tracking-9D; Intimidate-8D. Magicks: The Tiger can see in the dark, walk without a sound, and double his movement in a short sprint (maximum 5 rounds).. The tunnels beneath Calcutta fan out in every direction, creating a spider web-like network that plunges deep into the earth. Whereas other Cities Below have their tunnels, intersections, caverns and chasms, Calcutta Below's pathways actually form a radiant--almost alive--network that all present can feel. 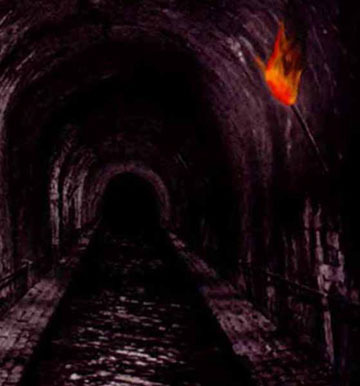 Activities in one part of the tunnels--a burst of joy or anger for example--will ripple through the tunnels and be felt, perhaps in only a small and passing way, through all the inhabitants of the City Below. Many of the residents become innured to this emotional connection, but others remain sensitive to it and understand the interconnectivity of all beings in Calcutta Below. At the center of Calcutta Below, all tunnels converge on a gigantic cavern known as the Well of the World. In the middle of the Well, a gleaming pool of crystal water refracts the torch light in all directions. The area serves as the central market and prayer district for the underdwellers. Any can drink from the well, and no one dares befoul its waters. No one knows how deep the well is, nor where its sources springs, but legend has it that it extends to the very center of the earth. Others say it is the source for all water in the world. The winding corridors of the Serpent's Quarter house the dark side of Calcutta Below. Tuku and his thugs control most goings-on, but there are numerous independent dealers and grifters at work. This is where the poorest of Calcutta Below live--the untouchables among untouchables. It is highly dangerous, but often lucrative to venture into its depths. Description: Fat and jolly, but with a foxy gleam in his eye, Ramachandran is famous (or infamous) throughout Calcutta Below. He is careful to avoid making enemies and thus makes few true friends. Many owe him favors, and he is known to exact a high price for even the slightest of effort on his part. Ramachandran is a survivor, pure and simple, and understands that everything boils down to the art of bargaining. Skills: Brawling-4D; Dodge-6D; Melee Weapon: Walking Stick-6D; Resistance-5D; Willpower-5D; Arcana-4D; Alchemy-4D; Sub-geography-7D; Gossip-7D; Value-8D; First Aid-5D; Search-6D; Profile-6D; Survival-5D; Courtliness-4D+2; Bargain-8D; Persuasion-7D; Con-7D+2. Magicks: Mending-5D; Avoidance-7D; Beastspeak: Rat-4D. Description: Carrying himself with the deadly poise of a tiger, Tuku oversees the Thug Guild with efficiency, calculating precision, and sharply honed suspicion. The Guild itself is an outgrowth of the Thugee cult, a zealous group of demon worshippers who hope to incarnate Kali and bring about the end of the world. Tuku does not care for the religious zeal and considers himself a businessman and a player in the deadly politics of Calcutta Below. He refuses to attach himself to any side in a fight and has minimized the influence of the Thugee priests. Rather, he bids out his services--and those of his followers--to those with the deepest pockets. But what may interest Tuku in payment can change unexpectedly; gold and gems have little meaning to him. He has been known to hire out his men for small favors, rare recipes, or even for no apparent cost at all. As the Thugee lord, Tuku must constantly be aware of any plots against him by underlings seeking power. He deals with subordination and treachery himself--usually in personal combat with the unlucky plotter. Skills: Jumping-8D; Climbing-7D; Martial Arts-8D; Dodge-8D; Melee Weapon-8D; Missile Weapons-8D; Resistance-8D; Willpower-7D; Sub-geography: Calcutta-8D; Gossip-7D; Value-6D; First Aid-7D; Lore: Poisons-8D; Demolitions-8D; Search-8D; Stealth-9D; Survival-7D; Profile-6D; Courtliness-4D; Bargain-6D; Intimidate-7D; Con-7D. Magicks: Creepy Quiet-9D; Animal Traits: Tiger (bonuses to Attributes; Claws: STR+1D+2 dmg; slight striping visible on his skin; nightvision); Hidden Heart. Tokyo Below is a crowded place, much like its mirror existence above. However, like other Cities Below, this city remains mired in medieval and archaic traditions and technology. The gizmos that buzz and whir so commonly Above are useless Below. The community is ruled, as much as it can be, by a number of great and notable families, each with its own ambitions, each holding the others in check. Tokyo Below was once ruled by an imperial family, but the old emperor inexplicable went mad and, it is believed, killed his entire family and all of his servants after sealing them all within the imperial castle. There are rumors that strains of royal blood still exist in the community, but non have stepped forward to claim the throne. The traditions and courtesies of feudal Japan maintain a strong hold over the dwellers of Tokyo Below and visitors would do well to mind their manners lest they find themselves on the worrisome end of a katana. Description: Few Beasts of the Underside inspire as much dread as the Krakken of Tokyo. Like some monster from an old Godzilla movie, the Krakken is enormous, with tentacles easily reaching one hundred feet and gigantic eyes that have been known to paralyze men with fear. The Krakken inhabits the deep black pools of the labyrinthine cisterns below Tokyo, occasionally snaring the errant man or whale that finds itself lost in those waters. Skills: Attack-11D; Damage-11D; Dodge-8D (tentacle only); Resistance-10D; Search-4D+2; Intimidate-8D. Edo Castle, the seat of the Japanese emperor, boasts a number of secret passageways and tunnels. But even the most knowledgeable updweller does not know of the deep and secret tunnels that stretch for miles beneath the old castle. Indeed, below the castle, a whole other castle has been hewn for the emperor of Japan Below. But Edo Below has not known an emperor for nearly a century and the golden doors have apparently sealed themselves shut. None of Tokyo Below's inhabitants have set foot into the castle and there exists only conjecture of what it now holds--untold treasures, horrific ghosts, an empty void of nothingness. The infectious madness of the last emperor, who sealed himself within the castle with his family and servants, and the growing superstitions and legends, has prevented any underdweller from attempting to discover the castle's contents. At the core of Tokyo Below, Asukusa is a piece of old Japan, even more condensed and inscrutable than that Above. Old traditions are zealously maintained: honor, sincerity, courtesy, and humility are valued above all else. The political intrigues of Tokyo Below play out most readily here, as the old feudal lords battle with words and agents for supremacy. Even newer political powers, such as the Yakuzu, respect the old traditions. Like other Cities Below, Tokyo Below supports a floating market that moves from place to place in the city Above. However, the Ginza, below the district of the same name Above, acts as a semi-permanent marketplace. Stalls spread in every direction and it is quite easy to become lost in the maze. But the market can fold itself up and disappear with hardly a moment's notice, if the sentries warn of updwellers nearby. The Ginza market typically provides basic goods. Rare or specialty items can usually only be found through tracking a particular merchant down or at a floating market. The tunnels below Tsukiji are laid in the soft, reclaimed soil of landfill along the oceanside of Tokyo. As such, they are typically damp and unstable, and cave-ins are not uncommon. But these tunnels often plunge deep into the earth, below the sea itself, and in their depths the labyrinth of Tokyo Below winds. Within that, in a pool of black water and blood, the Beast of Tokyo resides: it's long tentacles and gleaming eyes leave scars, both physical and psychological, on the few that set eyes upon it and live. The tracks of Japan's famous Shinkansen (Bullet Train) stretch throughout the country. Some underdwellers have managed to exploit these trains and their tunnels to travel great distances quickly within the Japanese continent. While most underdwellers prefer to remain in Tokyo Below, those that occasionally stray outside the urban maze may find rapid transit--for a price. Like all mechanized trains, the shinkansen generally rejects underdwellers that attempt to board it. But the proper magic or contact may permit an underdweller to catch a ride. Description: Niku (whose name simply means "Meat"), appears as a teenage boy of fifteen or so. Some say he has been around much longer than that, others explain that he is simply another version of the same kind of boy--filling a niche left empty after the demise of a predecessor. Regardless, Niku is completely at home and capable within the rough and tumble world of Tokyo Below. He has connections with nearly all the bravos and their patrons, can acquire hard to get items, and is more than willing to jump into a fight for the right price. His cool demeanor hardly cracks, though at times he can still show boyish enthusiasm or vulnerability before erecting his tough-guy mask once again. Skills: Climbing-6D; Martial Arts-6D; Dodge-6D; Melee Weapon-6D; Missile Weapons-5D; Resistance-5D; Willpower-5D; Sub-geography: Tokyo-7D; Gossip-7D; Value-6D; First Aid-4D; Streetwise-6D+2; Search-4D; Stealth-5D; Survival-5D; Profile-4D; Bargain-5D+2; Intimidate-4D+2; Con-5D. Magicks: Juice (Dexterity): 3D; Navigation-4D. Description: Part wiseman and part court jester, Old Father is a fixture in Tokyo Below. He usually sits in the Ginza Below and begs for small trinkets or food in order to make his living. Many times, the local youths hassle and mock him. Old Father has been known to explode into sudden rants of almost religious intensity, but his topics vary from current politics, to the inadequacy of this year's rice crop, to the conceptual problem of really understanding the color blue. Most dismiss him as a madman, though some find deep truths in his puzzling words. In his lucid moments, Old Father appears to be able to know the inner secrets of any man standing before him and will announce them to the world. At other times, he appears to have glimpsed the future, though he will only provide guidance in half-mumbled rhymes and puzzles. Skills: Education-5D; Philosophy-7D; Arcana-8D; Alchemy-9D; Profile-12D; Persuasion: Oration-6D. Old Father most likely has many other skills. Magicks: Augury-8D (but he apparently cannot control this skill and it simply activates from time to time); Hindsight-8D (see previous note); Ethos-8D. Beast: Boar. Hunter describes him such: "They say his hide bristles with swords and spears and knives stuck in him by those who have tried and failed. His tusks are razors, and his hooves are thunderbolts." It is said that if his blood is dabbed on eyes and tongue of a person, they will be instinctively know how to navigate through London's Labyrinth. Description: Wild and horrible, the Beast of London is the stuff of nightmares and urban legends. It charges and kills without thought, without mercy. It has been slaying those who hunt it for at least a century, maybe more. It is unclear whether the Beast can reason, or whether its time in the Labyrinth has rendered it completely mad. Skills: Jumping-9D; Running-9D; Attack-9D; Damage-10D (charge); Dodge-6D; Resistance-8D; Search-6D+2; Tracking-7D; Intimidate-7D. Magicks: Unknown. He an sense of smell and can track and attack targets even in the pitch black of the Labyrinth. His thick hide reduces all damage by 2D (no effect against armor piercing weapons). The Thames Below is not the muddied river well-known to updwellers but is, rather, an endless black chasm surrounded by tunnels that seem to absorb all light that attempts to illuminate the way. Known as a particularly nasty neighborhood, Knightsbridge Below spans this underworld Thames, providing one of the few routes across the chasm. An all-encompassing blackness, the "night", hangs over the bridge. It is darkness as a solid, almost living thing--it caresses the skin with chilled wisps, sinks into the lungs like a thick smoke, and, on occasion, devours those it entraps. Within its darkness, all the nasties of nightmares dwell--trolls, ghouls, unnamable things. Secret fears, subconscious, primal horrors, creep up out of one's mind and will steal an unwary victim away into a land filled with her own nightmares. Deep below London, below even the dwellings of the Underside, the Labyrinth twists and turns through earth and time. Within it, the Beast of London rages, dragging along the weapons that still stick in its hide and stomping on the bones of the failed hunters that have sought its hide. The Labyrinth leads to many things: the Great Hall that houses Islington, the fallen angel of London Below; corridors that lead to other undercities; magical pools that restore life; ancient troves of untold treasures. But usually the Labyrinth simply leads a visitor to madness or, if he's lucky, to death. Throughout the Tube tunnels of London Below, there are niches of blackness and void, the Gaps, that are filled with things invisible to those that dwell Above. In these gaps, nightmarish beasts dwell, ready to extend a tentacle or claw and ensnare an unwary passer-by. All that dwell below would do well to "Mind the gap" when in the Tube tunnels lest he find himself entrapped by the hideous black creates that dwell there. Earl's Court station is the only place to catch the subway train that carries the ancient Earl and his elderly entourage. The Earl's train looks very much like an old subway train, except that is gutted, layered with straw and grime, and houses a full, if somewhat ragtag and dottering royal court. The train is in constant moving, only stopping to pick up the rare visitor or, even more infrequently, to drop a passenger off. It stops at any normal Tube station, but will go completely unnoticed by any updwellers who happen to be standing there. The Earl's train has a number of "impossible" rooms that defy physics, including the vast stone library that holds all things lost and forgotten. Its shelves are full of ancient grimoires and histories, abandoned toys, misplaced car keys, forgotten mementos. Other chambers include the Earl's throne room, ample housing for his many men, a full kitchen, a working dungeon, and many more one would expect to find in a medieval keep. The people of Raven's court are an ancient and independent bunch. They have long held maintained a feud with the Earl and his court, an unpleasantness that often flares into considerable violence. Many of London Below would like to see a permanent peace treaty forged, but the feud is so old--its origins forgotten--that few believe peace will ever be achieved. The Portico family is one of the most distinguished courtly families in the Underside. All of its members share a Knack for opening things, they each does it in their own personal way. Lord Portico is something of an inventor and visionary, harboring a burning desire to unite the Underside and, perhaps, to someday bring the underdwellers back into contact with those Above. Some think Portico and his clan are arrogant or naive; others write him off as mad. But Portico has managed to secure enough favors, allies, and general goodwill to make his family powerful in London Below. Description: London Below, like all the Undercities, is rife with Bravos of various talents and tendencies. But Hunter stands out among them all. Lithe and beautiful, she is as deadly as she is quick. Consumed with a burning desire to prove herself by killing the Beasts of various undercities, Hunter continually strives to perfect her skills and garner information or tools that will permit her to complete her quest. She regularly rents her skills out as a mercenary, assassin and bodyguard, commanding a high price and working only for the elite of the World Below. Skills: Climbing-5D+2; Jumping-6D; Martial Arts-8D+2; Dodge-8D; Melee Weapons-8D+2; Missile Weapons-7D+2; Swimming-6D; Resistance-7D; Willpower-7D+2; First Aid-5D; Value-6D; Gossip-6D; Sub-Geography-7D; Sub-biology: Beasts of the Undercities-7D; Profile-5D; Search-8D; Tracking-8D; Stealth-8D; Survival-7D+2; Command-6D; Intimidate-7D; Bargain-6D; Con-4D+1. Magicks: Mechanophile-4D; Juice (Dexterity)-6D. Hunter likely has other magical abilities. Led by the prehistoric mammal, the Golden, the rats of London Below form a cohesive and respected society. Indeed, many humans, calling themselves the Rat-Speakers, dedicate themselves to the service of the rats. Many rats hold titles (such of Lord Longtail or Lady Whiskers) and comport themselves with the same courtesy and complexity as human royalty. In the Underside, particularly in London, the rats are a political force, often acting independent of human alliances, but with the ability to powerfully impact any balance of power. The rats have legions of spies, scouts, warriors and even mystics that are able to move freely through the worlds Above and Below. Their level of communication is unparalleled, and a kindness or slight paid to one rat may often be repaid by another, even in a different city altogether. The Sewer Folk of one kind or another have long existed in London Below. They inhabit London's deep and complex sewer system, learning its every curve, pool, and outfall while still young children. They are masters at scrounging for useful items in the stream of waste, often going to trade them at the Floating Markets. With the stench of the sewer clinging to them, Sewer Folk are often sneered upon or avoided by other underdwellers. But they maintain amiable connections with the Rats and Rat-speakers, and those who can find the constitution to be polite to the Sewer Folk can often benefit from the relationship. The Sewer Folk do not speak, at least no outside has heard them utter a word. They tend to communicate with claps, grunts and gestures. Some say they are barbaric, but the seem to be able to communicate more with a simple glance than most people can with a minute of expressive speech. Dunnikin: Oldest and wisest of the Sewer Folk, Dunnikin leads with a fair hand and a keen eye for marketable goods. He often lead the foraging parties into the deepest parts of the sewer, looking for any refuse that may be traded at a Floating Market. Despite his age, he remains fit and sharp and is well respected even by many outside of the Folk's community. Skills: Brawling-5D; Dodge-3D+2; Melee Weapons-4D+2; Swimming-5D; Resistance-5D; Willpower-4D+2; First Aid-5D; Value-7D; Sub-Geography: London-9D; Sub-biology: London Below-7D; Scrounge-9D; Profile-4D; Search-7D+2; Survival-8D; Command: Sewer Folk-7D; Bargain-6D. Magicks: Unknown. Dunnikin appears to have an uncanny sense of presentiment or precognition, but this is more of a natural ability, almost another sense, rather than a talent or spell that he activiates at will. Description: Aging, jolly and a bit daft, Old Bailey is well known throughout London Below as a purveyor of information, curiosities, and the occasional magical charm. Bailey's storehouse of knowledge is vast, if somewhat erratic (he will often remember a joke uttered by a drunk earl in the 1700's, but forget where he placed the hat he just took off his head). Underdwellers seek him out when they need an especially odd item or arcane fact. Though a shrewd businessman, Old Bailey is also kindly and willing to help in a pinch (though some form of repayment is always appreciated), if he takes a liking to someone. Skills: Brawling-3D+2; Dodge-3D+2; Melee Weapons-4D; Missile Weapons-4D; Resistance-4D; Willpower-4D+2; First Aid-6D; Value-8D; Gossip-7D+2; Sub-Geography-8D; Sub-biology-7D; Education-5D; Arcana-7D+2; Alchemy-7D; Profile-5D; Search-5D; Stealth-3D; Survival-6D+2; Bargain-7D+2; Con-4D. Magicks: Collector of Lost Thoughts-6D; Beastspeak: Pigeon-7D; Beastspeak: Rat-6D. Old Bailey likely has other magical abilities. Description: Standing over seven feet tall and as powerful as a mountain, Hammersmith is a fixture at every Floating Market in London Below. His hammer and forge have been known to smite cruel weapons and fine jewelry on the same night, each with exquisite skill. Skills: Brawling-6D; Dodge-3D+2; Melee Weapons-6D; Resistance-6D; Craft: Blacksmith-8D; Gossip-4D; Value-4D; Sub-Geography-4D; Search-3D; Intimidate-4D+2; Bargain-4D. Description: The famous, or infamous, Marquis de Carabas is well known in London Below and his dealings in other European undercities have earned him a few allies and many enemies abroad as well. The marquis is extremely shrewd, remarkable resourceful, and more than a little lucky. He has a tendency to collect debts in his favor. He readily employs his uncanny knack for knowing what another person wants and his facile methods for collecting it, and quickly turns the entire bargain into a sizable profit for himself. The marquis is known by many as a swindler, thief, and an assassin. He has broken hearts, mislead trusting souls, and picked the pocket of would-be friends. But, deep down, somewhere (awfully deep indeed), he's a good soul with a strong sense of honor--he will not break an oath or reject a debt when it is called against him. Folks deal with the marquis when they must, usually at great cost to themselves, but are rarely disappointed with his services. Skills: Brawling-6D+1; Dodge-6D+2; Melee Weapons-6D+1; Missile Weapons-6D; Resistance-4D+2; Willpower-5D+2; Gossip-8D; Value-7D+2; Education-4D; Steamworks-4D; Arcana-4D; First Aid-4D+1; Sub-Geography-6D; Sub-Geography: London Below-8D; Scrounge-4D+1; Security-5D; Search-5D+1; Stealth-5D+2; Survival-6D; Persuasion-6D; Con-6D+2; Intimidate-4D+2; Bargain-7D+2; Fade-5D; Perform: Music-4D. Magicks: Pockets-7D; Hidden Heart-5D (usually carried on him in a small box); Beastspeak: Rat-4D. The marquis likely knows many other tricks and charms. Description: A fox and a wolf, Mr. Croup and Mr. Vandemar. Two mercenaries of unknown origins that have been lurking about London and the Continent for as long as anyone can remember. They have been dismembering earls since at least the 16th century, and some say they were summoned to England during the time of the Romans. These two dispatch all of their victims--whether they be a rat that happens to be passing by, or a royal family targeted for assassination--with the same horrifying glee and ruthless efficiency. Mr. Croup: Short, sneaky and chatty, Mr. Croup appears to be the brains of the duo. He handles the business end of things, the gathering of information, the questioning of sources and, usually, torture of victims. He usually leaves most of the rough and tumble to Mr. Vandemar. Skills: Martial Arts-7D+1; Dodge-7D+2; Melee Weapons-8D+1; Missile Weapons-8D; Resistance-8D+2; Willpower-5D+2; Education-6D; Sub-Geography-5D; Sub-Geography: London Below-6D+2; Security-7D; Torture-9D; Search-7D+1; Stealth-9D+2; Profile-7D+2; Tracking-8D+1; Persuasion-6D; Con-7D; Intimidate-8D; Bargain-5D; Fade-5D. Skills: Martial Arts-8D+2; Dodge-7D; Melee Weapons-9D; Missile Weapons-8D; Resistance-9D; Willpower-3D+2; Sub-Geography-3D+2; Sub-Geography: London Below-4D; Torture-4D; Search-6D+2; Stealth-4D; Tracking-6D; Intimidate-8D. Magicks: Bloodless and Painless-8D; Juice (Strength)-5D. Reliance: Mr. Vandemar has an extremely difficult time making decisions without Mr. Croup's guidance. In fact, without his partner, Mr. Vandemar has been known to suffer a kind of paralysis. If Mr. Croup is incapacitated or otherwise removed from influencing Mr. Vandemar, the latter will forget whatever task is at hand and attempt to assist or rejoin Mr. Croup. Further, Mr. Vandemar appears to be rather simple minded, and is bad at bargaining, investigating, and solving puzzles. Like Mr. Croup, Mr. Vandemar appears to be both more and less than human--immortal (or long-lived), impervious to most harm, and inhumanly cruel. Description: The Rat-Speakers are a small, dedicated group of humans that serve as "the hands" of various Rat Folk in the Underside. They speak fluent Rat and serve the Rats with an unwavering loyalty. They often take on rat-like qualities, will kill and eat cats (part of the ongoing war between the Rats and the Cats), and are often rewarded with goods, information or other favors from their rat patrons. Those new to the Underside may scoff that humans would serve rats, but those fools usually receive a quick come-uppance. Rat-Speakers tend to be good guides in the Underside and are often the first that a newcomer will encounter upon entering London Below. Attributes: STR=2D, DEX=2D+2, CON=2D+1, KNO=2D, INS=3D, PRE=2D. Skills: Brawling-4D; Dodge-4D; Running-4D; Melee Weapons-4D; Missile Weapons-3D+1; Resistance-3D; Willpower-2D+2; Gossip-4D; Value-4D; Sub-Geography-4D+2; Sub-biology-4D; Search-3D+2; Stealth-4D+2; Survival-4D+1; Bargain-4D. Description: Sharp and quick, Lord Rat-Speaker organizes and watches over the Rat-Speakers, keeping them ready to do their patrons' bidding. He's extremely distrustful of outsiders, just as willing to slit a throat as spare a moment for words. Despite his quick temper, he is unfailing in his service to his rat lords and obeys them without question. Attributes: STR=3D+1, DEX=3D+2, CON=3D+1, KNO=2D+2, INS=3D+2, PRE=2D+2. Skills: Brawling-6D; Dodge-6D; Running-5D; Melee Weapons-6D; Missile Weapons-4D+2; Resistance-5D; Willpower-5D+2; Gossip-6D; Value-6D; Sub-Geography-6D+1; Sub-biology-6D; Scrounge-4D+2; Search-5D+2; Stealth-5D+2; Survival-6D; Bargain-6D; Command: Rat-Speakers 6D; Intimidate-5D+2. Description: Like most 'Twixts, Lear is little known among the populations of either London Above or Below. But he is a resourceful man, and some, like the marquis de Carabas have had dealings with him in the past. As such, he owes and is owed favors from both sides of the city. Lear is often a good source of information and can act as an agent for dealings with the Upside when an underdweller cannot perform the action himself. Attributes: STR=2D+1, DEX=2D, CON=3D, KNO=2D+2, INS=2D+1, PRE=2D. Skills: Brawling-3D+2; Dodge-2D; Running-3D+1; Melee Weapons: Knife-4D; Security-4D+1; Gossip-4D+2; News-4D+2; Value-4D+1; Sub-Geography-3D; Scrounge-3D+2; Stealth-4D+2; Survival-4D+2; Bargain-4D; Fade-4D+2; Perform: Music-5D. Magicks: Unknown. Lear may know of some charms and tricks that help him survive. Description: The Seven Sisters are something of a legend in the Underside, many things to many people. Some equate them with the Fates, others attribute particular powers, temperaments and stories to each. They are witches, demons, wights, demigods. Some say there are good sisters, bad sisters, sisters balancing the whole. Others claim they are all evil clan that would control the Underside if only they could cease their petty, sibling squabbling. They work in concert on occasion, but most often move against each other in a giant game of seven person chess--whimsically doing favors and dispatching agents with little motivation other than frustrating one of their sisters. Serpentine: Intimidating is too soft a description to describe Serpentine. Her severe, pinched face and flashing sharp eyes are enough to strike terror in even a hardened underdweller. She is extremely tall, with a shock of gray hair spiking from her head, and often wears the tattered remains of a wedding dress. She is crafty and cruel, a callous businesswoman with little use for idealism or philanthropy. Rumors say she will readily eat small children that stray into her realm, while others claim that she only cultivates such stories to increase her powers of intimidation. She is always courteous, even to her victims and will stick to her word. Though a killer, she acts with clear logic and deliberation, and can be bargained with in almost any case. Skills: Martial Arts-8D; Dodge-8D; Running-6D; Melee Weapons-7D; Missile Weapons-7D; Resistance-7D; Willpower-8D; Education-5D; Gossip-6D; Language: Ancient-8D; Arcana-8D; Alchemy-7D; Value-7D; Sub-Geography-7D; Sub-biology-6D; Profile-8D; Search-6D; Persuasion-4D+2; Command-6D (Command: Servants-9D); Intimidate-8D+2. Magicks: Claws (STR+1D damage, reduce armor by 2D); Serpentine likely has many offensive and defensive magicks at her disposal. She is not a woman to be trifled with! Lead by the Abbot, the Black Friars are a fairly unique group in the Underside: a religious order that has maintained its traditions amidst the chaos and hardships of the world Below. Dressed in their black robes, the Friars carry themselves with an austere confidence. They are able warriors, keepers of mystic secrets, healers of the sick, and savers of souls. But their traditions border on the militant and zealous, and many are put off by their severe ways. Indeed, visitors are often not allowed to pass into the Friar's abbey (as their underground haven is called) unless they can pass a series of tests: often physical combat, riddles, and trials of mind and spirit. . Description: Blind and weak with age, the old Abbot still leads the Friar flock with an able mind bent on furthering their mission. He is both wise and kind, though he will ruthlessly enforce the traditions the Friars hold dear. He believes their duties are holy and just and indoctrinates his brothers with these same ideals. The Abbot can be trusted with secrets and sought in need, but he will avoid entangling himself or his brothers in any scheme or mission outside of their sacred duties. Attributes: STR=1D, DEX=1D, CON=2D, KNO=5D, INS=4D, PRE=3D+2. Skills: Education-6D; Philosophy-6D; Arcana-7D; Arcana: Christian mysticism-9D; Alchemy-7D; Profile-7D+2; Command: Black Friars-9D; Persuasion-7D+2. Magicks: Unknown. The Abbot has a create deal of knowledge and likely knows a number of charms and tricks. Since he is well guarded by younger, more able Friars, he rarely has a need to reveal the depths of his abilities. Typical Black Friars: STR=3+2D, DEX=3D+2, CON=3D, KNO=3D, INS=2D+2, PRE=2D. Brawling-5D; Melee Weapons: Blunt-5D; Missile Weapons-5D; Dodge-4D+2; Running-4D; Willpower-4D+2; Resistance-4D+2; Education-4D; Philosophy-4D; Aracana-3D+2; Alchemy-3D+2; Search-4D; Persuasion-3D+1. There are many among the Black Friars with unusually high attributes (similar to player characters) and magical abilities. The idea of salvation from below is ennumerated several times in the book, namely in Valjean's sanctuary in the convent and his descent into the sewers with Marius. Much like its sister above, Paris Below is a rival for its London counterpart. Paris' tunnels are, perhaps, even more extensive and ancient than those beneath London. And they are filled with quite similar personalities and dangers. Indeed, there is a fair bit of trade and transactions between the two cities. However, while London Below is a mix of feudal loyalties and anarchy, Paris Below adheres to a more rigid social structure. The Queen of Paris Below, Colette de Reneaux, has managed to maintain order and demand fealty from the Parisian underdwellers. Her family line traces back to the first rulers of Paris Below, and through a vast network of soldiers, spies, and assassins the de Reneaux clan remains firmly entrenched. A fair number of dukes, marquis, counts, barons and other courtiers can be found in Paris Below as well. Many scheme for a larger piece of the political pie, others just scramble for a bit of Queen Colette's praise and favor. Despite her rule, the Queen has not managed to tame the dangerous rabble found in the Left Bank and has initiated a more active line of sentries to keep those outcasts from seeping across the Seine. Description: It is fitting that the Beast of this magical city is itself a magical being. Created centuries ago by a mad alchemist, the Gargoyle of Paris roams its deepest tunnels. What is seeks remains a mystery, one whose answer likely died with the Gargoyle's creator. It has been known to stand rigid for years, letting some who have unfortunately stumbled upon it go without harm without, in fact, moving at all. Some say it has never killed unprovoked, while others claim it is a thing of the Devil and will slay any who happen upon it in an animated state. Skills: Flying-5D; Jumping-7D+2; Climbing-8D; Running-4D; Attack-7D+2; Damage-8D+2; Dodge-4D; Resistance-10D; Search-5D+2; Tracking-5D+2; Intimidate-8D. Magicks: Stone Skin-Reduce all damage by 3D, including armor piercing; he also appears to be impervious to flame, cold, and most acids as well; Nightvision (perfect); Claws-ArmorPiercing reduce armor by 2D. Paris's underground system rivals, and in many ways surpasses that of London. When Paris Above was modernized in the 19th century, a complex system of tunnels and sewers was also built to accomodate the city's growth. Today, most dwellers Above have little concept of the vastness of the network of tunnels that lies beneath them. With the addition of the Metro and modern cabling efforts, the tunnels have expanded considerably in the 20th century. The underdwellers of Paris make ample use of this network. The Royal Houses and the Rabble: A large proportion of the Parisian underdwellers inhabit the Right Bank. It's tunnels tend to be a bit more direct and safer and most of the Floating Markets of Paris take place in the grand buildings found north of the Seine. More importantly (for some), this is where Queen Colette and her entourage of syncophants and scheming courtiers reside. The Queen maintains an air of forced dignity in the compromised surroundings of Paris Below. Her gowns tend to be tattered, her make-up severe and almost clownish, and her arrogance bordering on madness. The rabble of Paris Below generally ignore her rantings, though she has an ample armed guard and maintains strict control through a network of spies and informants. The untouchables: Above, the Left Bank is considered the bohemian quarter--the zone of artists, immigrants, impoverished students. At least it was in the early part of the 20th century, when such folk could afford to live there. Now it is like most of Paris Above--expensive and full of boutiques mainly aimed at the tourist trade. However, it still retains some of its bohemian flair. Below, the Left Bank has taken a much darker turn. It has become the refuge of outcasts of all sorts--renegades against the hierarchy of the French Underside, untouchables, monsters in flesh and mind. The inhabitants of the Left Bank occasionally band together and make forays into the more affluent Rive Droite, looting what they can until driven back into the shadows. The residents of the Right Bank see them as filth and killers, while the Left Bank dwellers call their adversaries elitist and imperial. Those who have attempted to unify both sides have only been met with derision and open hostility. The Black Bridge is of such legendary, horrific reputation that even the Queen's sentries refuse to guard it. As such, it is the only unwatched passage between the Left and Right Banks of the Seine Below. Though the river is hardly more than 200 meters wide at the Bridge's point, those who have crossed Le Pont Noir describe a trial that lasted hours, even days. 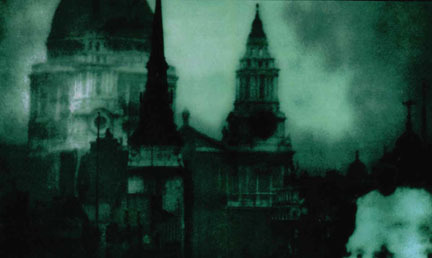 Some say it is yet another similarity with London Below and its nightmarish Knightsbridge. But the Pont Noir is more than a dweller for nightmares and secret monsters: it is first a bridge into Some Other Place, an entirely different world or dimension according to some rumors. Those who enter this Other Place must navigate its varied landscapes--mountains, seas, deserts, jungles--to come out on the other side of the Bridge. The army of ghosts: Above, Les Invalides is the immense hospital that Napolean built for his troops (now a museum). Below, the twisted corridors and open caverns have become inhabited by the ghosts, half-dead, and time-lost soldiers that once inhabited the hospital. It is not uncommon to see a young French soldier, still bleeding from a wound, standing sentry at one of the entrances to the area. All of these lost souls, alive and dead, await orders from some commander, but none can remember his name nor reason why it is they are there. They are muddled, believing they are still in some pitched war above, sometime even hearing gunfire and cannon shot. They will attack those they deem enemies of France but assist those who are allies (it helps to speak French and to not speak English!). No one much likes to travel to the outer tunnels and into les Banlieu, or suburbs of the Underside. Indeed, these outer areas are permeated with a feeling of pointlessness and boredom. Those who venture into them generally feel their energy and intelligence sapped away (GM's may require periodic Willpower tests for players to remain focused). The inhabitants of the Banlieu tend to to move about in a soporific, almost zombified state. They speak little and have a glazed look in their eyes, hardly managing to complete more than the most basic of tasks. The Hallowed Grounds: Few know that the great cathedral above sits atop a deep, winding network of tunnels, secret passages and even a hidden cathedral that rivals the one Above. Many underdwellers attend mass at the underground cathedral, one of the few of its kind in the Underside. Overseen by the kindly and absent-minded Bishop Loiseux, the cathedral is seen as neutral ground and the prohibition against violence is as strong as it is in the Floating Markets. Loiseux does his best to navigate the dangerous waters of Paris Below's political system, but he lacks the intelligence and willpower to avoid becoming a pawn. Only his assistant, Father Marcus, keeps him from becoming torn apart by the politics. But Marcus is cold and calculating and some say he dabbles in dark magic and eyes the Bishop's char for his own. It may only be a matter of time before some kind of coup occurs. Description: A tall, lean, rangy white man with a shock of messy brown hair, some fairly ragged clothes, and a general unkept appearence. He roams freely through much of Paris Below, though he is most often found in the Left Bank. Magicks: Pockets-8D, Beastspeak-Pigeon-5D, Beastspeak-Rat-7D, Annoyingly Lucky-8D. Description: A beautiful, middle-aged woman with a somewhat remote demeanor. Always beautifully dressed and coldly radiant. She is a rival of mad Queen Colette's, or so the Queen believes. Some say it is only femine jealousy, while others say the feud runs much deeper and is more dangerous. La Comptess is cautious to never insult the Queen--directly, at least--and careful cultivates favor with other courtiers in order to secure some degree of safety for herself. The Comptess' true motivations and goals remain a mystery. Magicks: Sources: the Comptess somehow learns nearly all of the gossip of Paris Below even as it begins. While she doesn't know who starts the gossip or even if it's true, she can use her formidable intelligence and deductive powers to make very accurate guesses. Level=8D. Description: A somewhat plump, perpetually young pre-teen boy (appears 10-12 years old). He always looks like he's been out playing--hair tousled, clothes dirty (without being as ragged as many in Paris Below). Meaulnes is a bit shy and standoffish, but he can come around to those he decides to trust. He seems to appear and disappear with ease, and those around him have the sense of experiencing a waking dream, or of actually living within their own nostalgia for their childhood..
Magicks: Dreamtime Aura: Meaulnes seems to carry with him a piece of the Dreaming--it seems to surround him at all times. The laws of physics--time, gravity, entropy--appear to function somewhat differently. Further, those around him experience a wave of nostalgia and the lingering feeling of lucid dreaming. While this may appear to have little practical effect in the day-to-day struggle of the Underside, it has helped Meaulnes survive and is likely the source of his apparent immortality. Description: A squat, extremely strong hunchback with a horribly ugly face. Modo is reclusive and unintelligible (he has no tongue and cannot speak), but he is not a true monster. In fact, he is both brave and loyal to those he trusts and loves. Skills: Jumping 8D, Brawling-8D, Dodge-7D, Running-5D, Resistance-7D, Willpower-7D, Sub-geography-5D, First Aid-3D, Survival-Underworld-7D, Search-6D, Intimidate-6D (8D if they've never seen his face before). Magicks: Juice: Strength-6D, Lovesick (for Esmeralda, a beautiful gypsy in the upworld, who continues to be reincarnated as different women across the years)-4D. Description: Les Trogs are a small cadre of underdwellers that have banded together for mutual protection and assistance. They remain aloof of most underdwellers, making their homes in deep tunnels and caves, often hidden by secret doors and mechanisms (they take their name from the term troglodyte). However, unlike their monstrous namesake, the Trogs are actually extremely technologically saavy. While they must still work within the technological limitations of the Underside, they, perhap more than anyone in the underworld, push the limits of what is possible. The Trogs keep their technological secrets very close and involve themselves with the affairs of others only when necessary. Typical Attributes: STR=2D+1, DEX=3D, CON=3D, KNOW=3D+1, INS=2D, PRE=2D. Typical Skills: Brawling-4D, Dodge-4D, Melee Weapons-4D+1, Missile Weapons-4D+1, Resistance-4D, Willpower-3D, Jury-Rig-4D, Steamworks-4D,Sub-geography: Paris-5D, Sub-biology: Paris-4D, Education-4D+1, Tracking-3D, Search-3D, Survival-4D+2, Bargain-3D, Fade-3D. Description: General Gilles is a small, lean man with a shock of black hair atop his head, a long, crooked nose, and small, alert eyes. Some (behind his back) say he resembles a ferret. He is extremely clever, though his arrogance can sometimes put off even close advisors. He keeps strict order with the ranks of the Trogs, carefully nurturing new recruits and supervising their training. Though they complain about him often, the Trogs admire Gilles and gladly do his bidding. Skills: Brawling-5D, Dodge-6D, Melee Weapons-5D, Missle Weapons-6D, Willpower-6D, Resistance-5D, Sciences-7D, Steamworks-8D, Value-7D, Education-6D, Search-5D, Survival-5D, Command-7D, Command: Trogs-9D, Intimidate-5D. Rome Below is one of the oldest undercities in all of the world. In the West, it rivals those found in Athens and Cairo. As one would expect, the mixtures of cultures, races and timelines is complicated to the point of defying description. Roman soldiers mingle with punk rock runaways, ageless gods haggle with hippy dealers for some decent ambrosia, gladiators now fight with tire irons and brass knuckles...you get the picture. The underside is truly immense. It is a bewildering complex of old and new tunnels, dizzying catacombs, massive caverns and little niches. There are pockets of lost pasts, potential futures, and ignored presents. Rome Below truly has everything an underdweller might seek, if one can survive long enough to find it. Description: Some say that the Beast of Rome is of the same bloodline as those wolves that raised Romulus and Remus, who went on to found the great city Above. But this Beast has no love for the humans that now intrude upon its territories. It is a voracious and clever killer, actively seeking prey, toying with it, and killing without mercy. Its lonely howls can echo through the catacombs, blend into the subterranean winds and chilling even the bravest soul. Skills: Jumping-8D; Running-8D+2; Attack-8D; Damage-8D (claws); Dodge-8D; Resistance-7D; Search-9D; Tracking-9D+2; Intimidate-8D. Magicks: Claws-Reduce armor by 1D; Sense of Smell-will recognize and remember everyone by their scent; Thick Hide-Reduce all damage by 1D (no effect against armor piercing). The Buried City: while bits and pieces of ancient Rome remain above ground and open to tourism, much of the old city has been buried, forgotten or lost with time. Other parts have been hidden by the underdwellers of Rome, keeping pieces of the old world for themselves rather than losing them to modernization. Much of Rome Below is constructed of the old brick and marble buildings, replete with beautiful statues, intricate columns, and prized reliefs. Royal, wealthy families, and the powerful undead tend to populate these old palaces. The Arenas: The Romans build large tunnels and caverns below the real Coliseum in they could store equipment, animals, and slaves. Some chambers were large enough to serve as gladiator training arenas. A number of underdwellers have taken to using them for their own gladitorial games, usually a test of combat for two young Bravos. They are also used to resolve disputes between two parties, each choosing to fight or selecting a champion, and the winner being considered "in the right." Not all the combats are fatal though, of course, they are extremely dangerous. There's always a wager to be placed for the gambling sorts. Further, criminals or other misfits are sometimes thrown into an arena against one of the bizarre creates that inhabits the Underside. The Twisting City: Without a doubt, the tunnels of Rome Below are the most well built and extensive in the world. Citizens have been working on them for thousands of years and there is likely no one who knows their entire extent. The Catacombs are filled with twists, turns, giant caverns, pockets of lost time, secret doors, dangerous traps, indescribable beasts, and primordial magicks. The old Catacombs connect and re-connect with more recent tunnels in numerous places. It is possible to get into every single part of Rome Above through these tunnels, and many lead well out into the countryside. The Watery Transport: The Aqueducts supplement the vast network of the earthen catacombs. Built in Roman times to carry water into the city and remove waste, they are still a functioning sewer system (side by side with the more recent sewer tunnels). There are a number of folk who make a living as ferrymen along the waters, transporting their passengers at a much increased speeed. There are rumors of horrible, tentacled beasts dwelling within the waters, and it is true that the occasional ferryman fails to make it home at night. Description: Fat and devious, Giambetta is a pivotal figure in Rome Below. Indeed, his connections spread throughout the underside of Europe. He is tapped into the gossip mills of Prague Below, can have someone's kneecaps broken in Berlin, will smuggle in an ancient artificact from the tunnels below Athens. Giambetta manages his empire with a clever ue of 'Twixts to serve as agents in the Upside, skilled assassins and thieves of otherworldly powers, and maintaining a grip of fear over many in the local population. Though he is a thief and a liar, he is not without a sense of honor and will uphold his word in nearly any situaton. Skills: Brawling-8D; Dodge-6D+2; Melee Weapons-7D+1; Missile Weapons-7D; Resistance-6D; Willpower-7D+2; Gossip-8D; Value-8D; Education-4D; Steamworks-3D+2; Arcana-3D+1; Sub-Geography-5D+1; Security-7D; Search-6D+1; Stealth-5D+2; Survival-5D; Profile-6D; Persuasion-5D; Con-5D+2; Intimidate-6D+2; Bargain-6D+2; Command-6D+2; Command: Underlings-8D+2. Magicks: Elsewhere-7D. Every assassination attempt against Giambetta has been unsuccessful and he seems preternaturally gifted at avoiding danger. The Elsewhere Knack doesn't manifest itself as manifesation, but rather a subtle restructuring of reality to negate the danger--for example, a crossbow will jam and not fire, a plate of poisoned food will be dropped before served to him, etc. It is still not clear whether this is actually a Knack or some other magick at work. Description: Sophia is a reclusive genius inhabiting some of the deeper caverns of Rome Below. A reknowned scientist and inventor, Sophia has skills that are sought by many throughout the underside. She is a master Steamworks engineer and is studying the "scientific" origins of Knacks and other powers. Sophia is still fairly young (in her twenties) and inherited the lab from her almost equally brilliant father. She does not like to leave her caverns and will resist doing so. This apprehension is a mixture of dedication to her work and fear of the outside world. Skills: Willpower-4D+2; Gossip-3D; Value-5D+2; Education-7D; Steamworks-7D+2; Arcana-5D; First Aid-5D+1; Sciences-6D; Medicine-4D; Scrounge-6D+1; Security-5D; Search-3D+1; Bargain-4D+2; Fade-5D. Magicks: Mechanophile-6D; Hacker Genius-7D (ability to put together machines that otherwise wouldn't work for anyone else). Description: In their old incarnations, they ruled the Mediterranean. There still exists temples and artwork dedicated to their greatness. But these are different times. No one believes in the Old Pantheon any longer. And as the people's faith diminished, so did the powers of the gods. Now, Mars (Ares) works as a trainer for up and coming Bravos. Mercury ekes out a living with a competent network of spies and delivery boys. Venus (Aphrodite) sells love in all its forms and devices. Saturn (Neptune) give swimming lessons. You get the picture. The old gods tend to be fairly grumpy and unhappy about their lot in life (imagine being a god, and then having to haggle over just a bit of Ambrosia). They continue their bickering ways, forming alliances against one another and attempting to use mortals as pawns. Some take a liking to certain mortals, however, and will be amenable to a trade of goods, information or favors. Description: Imagine a snake 50 feet long, mouth as wide as a small truck, rushing towards you through a dark, narrow tunnel. That is the last thing most men see when they happen upon the Asp of Cairo in its underground lair. Some say the Beast has dwelt there since being summoned by an ancient, mad pharoh who used it to guard his most powerful magical grimoires. Regardless, few have attempted to challenge it and seek out the legendary texts. Skills: Jumping-10D; Climbing-11D; Running-10D; Attack-7D+2; Damage-10D (bite); Dodge-6D; Resistance-9D; Search-5D+2; Intimidate-9D. The Discarded City: As Cairo Above has expanded, a sprawling pile of discarded waste has festered and grown on its outskirts. Over time, a large community has come to inhabit the vast range of refuse. Folks carve out caves in settled piles of garbage, setting up home and shop. Most scrounge through the endless piles for useful items or edible food. The Cairo Dump is one of the few places in the Upside where underdwellers may pass and be readily seen (likely because the inhabitants of the Dump are themselves ignored and invisible to most updwellers). All manner of items may be found there (you'd be surprised what folks throw away), but it is strongly recommended that newcomers secure a guide. There are substantiated stories of cannibalism in some parts of the dump where food is rare. And the Dump has become so large and complicated, it is easy to become lost among the towers of waste. City of the Dead: Deep below the sands and streets of Cairo, the ancient City of the Dead may be found. The residents of Cairo Below shy away from all of the tunnels that are even rumored to lead to the Necropolis, believing that to enter its gates is to join the world of the dead and never return. Others claim these are wives' tales and that the city retains innumerable treasures and secrets just waiting to be rediscovered. But to get the Necropolis, one must pass over the Bridge of Kings, down the Sub-Nile and into the catacombs in which the Asp of Cairo slithers. Few manage to make it past the first step of the journey! Stone Gods: This is the only Bridge known to pass over the Sub-Nile to the Island of the Sun, where the ferry of the Sub-Nile may be boarded. It is lined with statues of long dead kings and gods, usually appearing as half-men, half-animals. 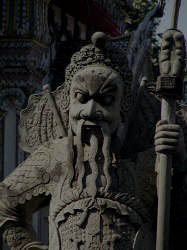 The statues are said to come to life and challenge any who would dare pass the span without the blessings of the gods. Those few who come to the bridge, usually bring with them generous gifts for the stone gods, offering them up to secure their blessings. On occasion, the supplicant is allowed to pass without trouble...but that is the exception rather than the rule! Description: Part cult, part guardian of Cairo Below's mysteries, the Serpent's Tongue is a secrete society of priests, warriors, and magicians. Its members live and work among the other underdwellers, maintaining their secret affiliation. But members of the Tongue bear first and foremost loyalty to their order and the other members. They work covertly to gather information, sway public opinion, assassinate enemies, and acquire wealth. The Serpent Tongue has secret chambers and it is rumored that ancient texts and artifacts are guarded there. If the identify of a member is discovered to an outsider, the member must either kill the outsider or himself before the information spreads. Magicians within the Tongue know some of the blackest magicks of the underside, specializing in spells of the dead. Description: The Sleeping King of Egypt Below, Kamen resides in an ornate sarcophogas in a chamber deep below the Valley of Kings near Cairo. It is said that he continues to rule Cairo Below, coming to his servants in their dreams and directing their actions when necessary. Kamen has also been known to appear in the dreams of multiple sleepers on the same night, at the same time, and performing the same actions. Some say that he can even kill through dreams. Legend has it that one day he will rise to unite the Above and the Below and restore the great dynasties of Egypt's pharohs. Others say he is merely a man trapped in a sleeping state by some ancient magick. The route to his chamber is guarded by magickal beasts, puzzles, and traps and few even know its location. Skills: Unknown. In the Dreaming, Kamen seems to be nearly all-knowing and all powerful. He can read minds, change shape, cause and heal damage, and reshape the structure of the dream. Magicks: Dreamwalking-12D. Likely has other magicks at his disposal. Description: Half-rat, half-man, Rungri is one of the most able survivors in Cairo Below. Like the rest of his rat-like brethren, he mainly ekes out his existence in the darkest corners of the Dump. But Rungri's knowledge and talents extend much further. He knows the secret passageways through the city itself, has contacts with Twixts and underdwellers, and is owed favors by more than a few. Rungri excels at spreading rumor and innuendo, using it to his advantage, and turning one ally against another. He will simultaneously offer himself up as peace maker and weapons dealer. He distrusts humans, given the way they treat his kind. But, he also seems to spare little love for his own kind as well, believing they permit themselves to be persecuted. However, deep down, Rungri has an honorable heart and it may, someday, show itself with an act of selflessness or heroism. Skills: Brawling-5D; Climbing-6D; Jumping-6D; Dodge-6D+2; Resistance-5D; Swimming-4D; Willpower-4D+2; Gossip-6D; Value-6D; Sub-geography: Cairo Below-8D; Sub-biology-6D; Scrounge-6D; Security-6D; Search-5D; Profile-5D; Bargain-6D+2; Fade-5D. Magicks: Rat Qualities--+1D Dex (included above); +2D Search with the sense of smell; Prehensile Tail; Beastspeak: Rat-5D; Evasion-5D. Beast: The blind, white Alligator-King. Description: Hunter describes him as "thirty feet long, fat from sewage and fierce in battle . . . His eyes were like huge pearls in the darkness." The Alligator King has unnatural intelligence and ferocity, reportedly eating anything that happens too close to his gaping jaw. His thick hide is pocked with the blows of weapons, burns of various pollutants and chemicals swirling in the sewage, and the ravages of time. Skills: Attack-9D+2; Damage-12D (bite), 11D (tail swipe, automatically knocks a victim back 2D6 meters); Dodge-6D; Resistance-9D; Search-5D; Intimidate-9D. Magicks: Armored Scales-Reduce all damage by 3D (2D against armor piercing weapons); Motion Sensitivity-7D (though blind, the King is extremely sensitive to sounds and motion nearby and can strike with deadly precision); Massive Jaws: Armored Piercing (reduce armor by 2D against his bite attack). The Woods: Central Park is immense and mysterious even to those that dwell in the city Above. But the the underdwellers, all of its deep, dark secrets may be discovered (usually to the chagrin of the underdweller). The woods are filled with shadows, ancient secrets, and forgotten niches. Only the most foolhardy would venture into these wilds unarmed and without a guide. Many an underdweller has wandered a bit too far off a path and been devoured by some nightmarish unknown. It is not uncommon to come across all types of mystical beasts and magical beings in the woods. Even the residents of the Park shy away from the darkest, most dangerous sections in the North Woods. There, nightmares and monsters lurk behind every twisted trunk and slime-covered stone. Some say a dark demon rules the North Woods, others a fallen god. One local scholar opines that the tenebrous ruler of the North Woods has not separate identity from the Woods or the City itself, but is, instead, the incarnation of its worst attributes--fear, rage, violence. Whoever--or whatever--rules the Woods, it seems clear that its domain is spreading and threatens to engulf more and more of New York Below. The Deepest Underside: "Down Town" in New York is not actually the streets in the south of the city but is, rather, the deepest parts of the tunnels below the city. Carved out of earth, butteressed with materials stolen from the city Above, the tunnels house innumerable underdwellers and lead to unknown dangers. This is one of the most dangerous areas of New York Below, where the poorest of the poor must live and where the darkest criminals seek refuge. The Inferno: Like many parts of the Underside, New York's neighborhoods take on a nature that almost literally translates the area Above. Hell's Kitchen is actually a piece of Hell, or some place quite like it. It burns without devouring, chills without freezing, tortures without offering the final, welcome release of death. It is populated by all manner of demons--tricksters, tempters, and those that would consume both flesh and soul. Some are for hire, others exist only to perpetuate the rebellion against the Heavenly Hosts. The Kitchen is a source of black magicks, terrible mercenaries, and arcane secrets. All who enter must pay a price, and it is said that no one leaves with an untainted soul. Description: Tall, thin, and pale, Lord Chelsea has also earned the nickname "Old Blueblood" among many of the underdwellers. His regal air and Victorian affectations strike a sharp contrast to the New World anarchy that runs rampant in New York Below. Despite his separate nature, Lord Chelsea is one of the single most powerful men in New York Below. His vast wealth, unfailing ingenuity, and uncanny ability to predict an opponent's actions have permitted him to maintain a strong hand in the politics of the city, making him many allies and enemies in the process. Chelsea fervently hopes to install some great sense of order in the Underside, firmly believing in Victorian ideals of enlightenment and education for all. This occasionally leads him to make somewhat naive attempts at bettering the life of those below, even against their will. Skills: Resistance-3D; Willpower-7D; Arcana-5D; Alchemy-6D; Education-7D; Value-6D+2; Sub-geography-5D; Sub-biology-6D; First Aid-5D; Medicine-4D; Steamworks-5D; Sciences-5D; Search-4D; Profile-4D+2; Persuasion-4D; Intimidate-4D; Courtliness-6D; Command-4D..
Magicks: Unknown. Though it is not Foresight, Lord Chelsea's ability to second guess his opponents is formidable (treat as a Knack at 7D). Chelsea also probably knows some other, common magicks, though he may prefer to use scientific methods over magickal ones. Description: Nearly every account says that the Green Witch has existed since before Manhattan, even before the first Native Americans set foot on the island. She is part of the firmament of the place, wild as its wilderness and yet as civil as the modern metropolis that steams above. Like whatever presence that grows in the North Woods, the Green Witch is an incarnation of the place's spirit--only she represents the creativity, strength, and progress that flourishes there. Not surprisingly, the Green Witch is found below New York's Greenwich neighborhood, usually in a cavern that is lush with vegetation and refreshed with a clear, clean stream from an unknown source. She remains neutral in the events around her, but may help those in need, particular those seeking to protect or maintain the balance of all energies in the City. Skills: Unknown. The Green Witch appears to be extremely knowledgeable about events in the New York Above and Below, can read the hearts and minds of those before her, can heal wounds, provide directions to secret passages, and has been known to drive hardened soldiers to cower before her if she is enraged. None has ever engaged her in combat, though it is assumed that her magicks are strong and her life force is immortal. Description: The Warriors are, for lack of a better term, a street gang that roams the tunnels below New York. There are a few other gangs, but the Warriors have managed to diminish or wipe out nearly all of their competition. Despite this dominance, the Warriors do not have extensive power throughout New York Below. They run the labyrinths of a few neighborhoods and are indeed a force to be reckoned with, but they are checked by the forces of Lord Chelsea, their competing gangs, and the other underdwellers who do not take kindly to anyone who attempts to control their way of life. Still, the underdweller than wanders into the wrong tunnel run by the Warriors without the proper writ of acceptance had better be good at bribing, lying, or fighting if he plans to survive the encounter. Skills: Brawling-5D; Dodge-5D; Running-4D; Melee Weapons-5D; Missile Weapons-4D+2; Throwing-4D+2; Willpower-3D; Resistance-4D; Sub-Geography: NY Below-4D+2; Scrounge-4D; Tactics-4D; Value-3D+2; Streetwise-4D+2; Stealth-4D; Search-4D; Con-3D+1; Intimidate-4D+2. Magicks: Many of the Warriors have Knacks, usually involving combat-related skills. Description: Deep in the tunnels of Down Town, some underdwellers have slipped into a bestial, feral existence. They have formed tight packs, moving through the tunnels like hyenas, picking off the stragglers and the weak, and feeding upon them. All the underdwellers of New York Below fear and avoid the C.H.U.D. 's and occasionally mercenaries are hired to thin their ranks or drive them from hunting too close to populated areas. If the C.H.U.D. 's have retained any of their human feelings and ability to communicate, it seems those abilities have been deeply repressed or overridden by the voracious hunger. Skills: Brawling-5D; Dodge-4D+2; Climbing-4D; Jumping-4D; Resistance-5D; Search-4D; Tracking-5D; Intimidate-4D+2. "I can't hurt you, lost angel." The words come out of the tunnel's blackness without warning when I stumble into a cavelike recess. "But I can hurt those you care about," he says silkily. "Some of me is within you," he says, shielding his eyes with his left forearm as though there is a flood of light that I don't see. "Not enough for me to hurt you. But enough for me to hurt others close to you. You have a fascination with the darkness of my tunnels. The evil within it. And it is evil," he says with cool force, a fine layer from fury. "Everything down here is pure evil." "You have left the world o fairness and good. Goodness can no longer reach you down here. You are no longer safe," he says, now looking at the ground. Then he hisses. "Leave, little lost angel, before the tunnels swallow you and you are one of mine." Description: Nearly everyone in New York Below knows of the Angel of Death, as he calls himself. He's neither short nor tall, built onto a slim frame, with bright, bloodshot eyes. By all accounts, he is mad. But many are convinced that he is some devil--perhaps Satan himself--incarnate. His small cave, referred to as "Satan's Den" may be found below Grand Central, though nearly everyone attempts to avoid it. His powers of intimidation protect him from physical danger, and some are even driven to serve him. Skills: Brawling-4D; Melee Weapons-4D; Dodge-4; Resistance-4D; Willpower-6D; Arcana-5D; Scrounge-5D; Search-6D; Profile-6D; Survival-6D+2; Stealth-5D; Fade-5D; Persuasion-4D; Intimidate-6D. Magicks: Unease-6D. The Angel of Death gives off a "creepy vibe" that makes even the most confident sort uncomfortable and slightly afraid. Some say it is because he is mad and unpredictable, because he believes in his supernatural powers of evil. Others claim that he really has the power to curse you to injury or harm the ones you love. Regardless, those around the Angel must make a Willpower roll against his Unease Knack or feel an overwhelming desire to leave him alone and avoid him--even stopping any aggression or pursuit of him if the Willpower roll fails. Description: Mad as a porridge-knife, Mad Hettie has the appearence and general demeanor of a aging streetperson. But she's been alive for centuries and knows a thing or two about getting by and how the real world works. Though she is neither an underdweller nor a 'Twixt, Hettie interacts with underdwellers as if she were one of them. Hettie appears to split her time between London, New York, and a few other major cities in Europe. Skills: Melee Weapons-3D; Dodge-3D+2; Resistance-4D; Willpower-6D+2; Gossip-5D; Value-5D+2; Arcana-7D; Alchemy-6D+2, First Aid-5D; Sub-Geography-4D+2; Geography-5D; Scrounge-5D+2; Search-6D+1; Profile-6D+2; Survival-7D; Stealth-6D+2; Bargain-6D+2; Fade-5D; Persuasion-4D; Intimidate-4D+2. Magicks: Hidden Heart-7D, Augury-8D, Avoidance-8D, Fluster-7D. Hettie certainly knows a number of other tricks and charms. New Orleans Below shares much of the chaotic diversity and history of its sister city Above. It is a vibrant and bristling community, full of colorful and dangerous characters. Its smallish size creates a close-knit feel, and most everyone knows at least a bit of everyone else's business. New Orleans Below is probably the most mystical of the undercities in North America, as much of the voodoo and Creole supersitions Above have filtered down to the City Below. New Orleans Below is a friendly enough place, welcoming to strangers, indulgent of most every vice, and eager for news of other cities. However, it is also an extremely dangerous place of shifting alliances, scheming opportunists, and potent black magic. Newcomers had best tread lightly. The Bayou Dwellers: Beyond and back, outside the city above's limits, a sub-population of New Orlean's underdwellers exist in near autonomy from their brethren. There, they follow traditions long abandoned, abolished or forgotten in either the world above or the more urban underdwellers. Slavery, voodoo, native mysticism, and amalgams of all flourish. Few outsiders manage to find their way past the beasts that populate the swampy Backwaters; fewer still manage to survive their more human inhabitants. But it is in the Backwaters, perhaps more than any other place in New Orleans Below, that dwellers may find powerful magicks, long-lived historians, and solutions to the most insolvable problems. The Labyrinth of New Orleans: The tunnels beneath the city's largest and oldest cemetary are by far the most complex, populated and dangerous in New Orleans Below. They serve as the hub of the city's underworld, twisting into large complexes, living quarters, dead end tunnels, and decades long past. Some dead-end in musty crypts (where the occupants are not always quite dead), secret temples of the blackest arts, and darkest niches even most underdwellers work to avoid. In their deepest depths, the city's beast dwells, where it supposedly can change the structure of tunnels and confuse travelers to lure them into its hungry clutches. The Population Center: Above and Below in New Orlean's Latin Quarter, the populations come to buy, sell, entertain, and discover. As the main hub of commerce, the Centre Ville is both accessible and well-guarded by those interested in maintaining a semblance of peace and commerce in New Orleans Below. Idle passers-by and troublemakers may miss the entrances altogether. And those who break the Centre Ville Rules (No Fighting, No Stealing, No Bad Mojo) tend to find justice swift and harsh. The Winding Neighborhoods: Not far through the tunnels from the Centre Ville, the subterranean version of the city's old slave quarter still houses a substantial population. Many claim it was the first part of New Orleans Below to take shape, since slaves often passed without notice from the World Above (and, ironically, often found life more accomodating Below). Aside from the standard scenes of domesticity in the underworld, travelers to the area may find a great number of services: Eyeball oracles, voodoo priests, willing Brave mercenaries. The Secret Source: The "Underground Railroad" that helped some slaves escape the clutches of their Southern masters took on, at some point, a very literal manifestation. The railroad tunnel from below New Orleans, stretches north, branching, twisting, and, some would say, continually shifting and expanding. None have reported its end point. The tunnel seems almost alive, as does the driverless train that steams--without fuel--along the tracks. These days, the train arrives when it deems appropriate, and speeds off at its own whim. Some say it can be bargained with, cajoled, even bribed to take on passengers to far off cities, locked away secret chambers, and, perhaps, times gone by. Skills: Resistance-4D, Willpower-6D+2, Sub-geography-7D, Sub-biology-6D, First Aid-5D, Scholarship-History-7D; Scholarship-History-New Orleans Below-11D, Value-7D, Arcana-6D, Alchemy-5D, Search-5D, Profile-5D, Bargain-4D, Con-5D, Perform-Writing-7D. Magicks: Unknown. Some say Rampling is ageless--perhaps either immortal or already dead. Her ability to gather and recall knowledge is also preternatural. Description: Mama Fast is a grand, broad old woman with sparkling, intelligent eyes, a quick, flashing smile that still melts the hearts of men and boys, and an intuition keen she often knows what someone wants before the person can reckon it for themselves. She takes her name from her ability to size a new person up, guess their secret motivations and fears, and slip them some safe advice even before they manage to mumble out a greeting. Mama Fast is kindly, but her jolly demeanor hides knowledge of dark voodoo magicks and an understanding of what it takes to survive in the World Below. She has employed more than a little of that knowledge in her ongoing feud with Christian the White. Skills: Resistance-6D, Willpower-9D, Sub-geography-8D, Sub-biology-6D, First Aid-8D, Medicine (Healing)-6D, Arcana-6D, Arcana-Voodoo and Animism-9D, Alchemy-Voodoo-8D, Value-7D, Language-Ancient-7D, Search-6D, Profile-10D, Con-8D, Command-7D. Mama Fast probably has many more skills than those listed here. Magicks: Augury-10D, Hindsight-8D, Healing-7D, Seance-6D. Description: Gripner is a lean, cagey old man with as keen a nose for business as any in the World Below. He has long given up hawking normal wares and services and only participates in a deal that provides special challenges or piques his very unique sense of curiousity. Because of this, Gripner has squandered whatever riches he once had on deals that others would consider insane (and impossible): trafficking in fresh dinosour eggs, arranging a trip to Limbo, attaining the services of a dead musician for a wedding. It is entirely impossible to predict what deal will catch Gripner's interest and, likewise, what he will have to offer on any given day. Skills: Dodge-5D, Melee Weapon-Knife-6D, Missile Weapon-Crossbow-7D, Resistance-6D, Willpower-7D, Sub-geography-8D, Sub-biology-6D, Arcana-4D, Alchemy-Voodoo-4D, Value-10D, Steamworks-5D, Business-11D, Navigation-7D, Search-6D, Profile-7D, Con-9D, Persuasion-7D. Description: Christian the White is a tall, imperious-looking white man, with shining blond hair and sparkling blue eyes. Like some of his aryan bretheren above, he believes strongly in notions of racial purity, morality and an amalgam of Christian and Aryan mythology. He has managed to carve out a small niche for himself in the relatively tolerant World Below, claiming to have not "fallen between the cracks" to arrive there, but, rather, having journeyed there on a mission from God to save the pure blood whites living Below and maintain their genetic and moral superiority. As you might imagine, Christian the White did not come to New Orleans to make friends and his zealotry--sometimes erupting in violence--has created rifts in the underdweller community. Christian has amassed enough followers, however, to make him a player in the happenings below. Skills: Brawling-6D, Dodge-7D, Melee Weapon-8D, Missile Weapon-8D, Run-7D, Resistance-6D, Willpower-7D, Sub-geography-4D, Scholarship-Aryan History-5D, Arcana-Christian-Aryan Mythology-5D, Value-7D, Tactics-7D, Business-4D, Search-5D, Profile-4D, Con-4D, Command-6D, Command-Aryan Followers-10D, Persuasion-7D. Magicks: Juice (Strength)-7D, Hidden Heart-5D. Rio also hosts a substantial underpopulation beneath its sunny streets. As the largest metropolitan area in South America, Rio has ample tunnels, nooks and shadows to house underdwellers. Like the city above, Rio Below is a somewhat colorful and chaotic place (especially when compared to other Undercities). Its inhabitants have developed somewhat primitive tribal units, often quite adversary to one another. They often practice many of the magicks associated with South American and Carribean natives, including forms of animism, voodoo, and Catholic mysticism. Beast: Rio's Beast is an ancestral rodent, indemic to South America, that grew to the site of a rhinoceros. It's fur has become blackened and matted with the soil and blood of its travels through Rio's winding catacombs. It is rumored that its organs would provide the necessary for extremely powerful magics, including a spell to raise the dead. It has been seen wallowing the mud of the Amazon Below, far inland. The Sparkling Tunnels: Brazil is famous for many of the precious minerals its soils produce (often at a high human cost). The dwellers below are typically masters at finding rare minerals and gems--the likes of which have never been seen Above. Because precious metals and gems have little value below, these miners focus more on odd and magical items. Some dig years before finding anything of real value. Many of the tunnels have been abandoned, for mining purposes at least, and some residents have formed small communities therein. In other, dark and forgotten tunnels, beasts of unknown origins have taken up residence. Some say they have been put there to guard the mine's contents. The River of Life: Deep below the Amazon Above, a sister river flows like the River Styx. Filled with all kinds of life never seen in the world above, lined with lush vegetation and reaching into the depths of the continent and, many say, back into Time itself. The Amazon is both life and death to the dwellers below. It provides food and water, but has been known to suddenly swell and flood tunnels for miles, drowning the inhabitants. Description: A plump old woman of untold age, Germania serves as a kind of spiritual leader and advisor to the underdwellers of Rio. She is revered by nearly all of its residents, even by those who fear or despise her. Germania is generally quite cheerful and kindly, rarely showing a stern face or harsh word. Skills: Resistance-4D, Willpower-9D, Sub-geography-7D, Sub-biology-6D, First Aid-9D, Medicine (Healing)-5D, Search-6D, Profile-8D. Germania probably has many more skills than those listed here. Magicks: Pockets-8D, Augury-10D, Hindsight-8D, Other Form-Serpent-8D, Healing-7D, Mending-8D, Channeling-8D, Seance-9D. Description: Young and charismatic, Che is the first real leader to appear in Rio Below for a long while. He tends to be headstrong, even arrogant, and will often commit himself to idealistic and nearly impossible feats. He hopes to some day unite the various tribal factions, and that goal alone is making him dangerous enemies. He has attracted a good number of followers and so far managed to remain on peaceful terms with the tribal leaders. However, it is apparent that if continues to seek this goal he will be marked for banishment or, more likely, death. Attributes: STR=3D, DEX=3D+2, CON=3D, KNO=2D+1, INS=2D, PRE=4D. Skills: Brawling-7D, Melee Weapons-6D, Missile Weapons-6D, Dodge-7D, Run-5D, Throw-Spear-6D, Resistance-5D, Willpower-6D, Tactics-6D, Sub-geography-6D, Sub-biology-4D, Search-5D, Survival-6D, Command-6D, Persuasion-6D, Con-5D. Magicks: Unknown for certain. It is rumored that he has Juice (4D). San Francisco, sitting on a large bay on America's West Coast, serves as home to a large and diverse population of both up- and underdwellers. Unlike many other cities with a large underdweller population, San Francisco lacks a large number of tunnels and subterranean caverns. The unstable land upon which the city is built has precluded much digging. There are a few mass transit tunnels (the BART subway system stretching into the East Bay and limited local trains), but most of the other tunnels have been built in secret by underdwellers over the years. Because of this, the "underdwellers" of the city often spend a great deal of time above ground, co-existing in parallel with the oblivious updwellers. They merge with the city's homeless and transient populations--folks pushing shopping carts, kids begging for change down on the Haight, old haggard men trying to catch a nap in Golden Gate Park. They are just as invisible as the populations of the other Undercities, only they happen to see the sun a bit more. San Francisco's underpopulation is also less structured than that in other regions. There are numerous notable figures, some attracting the fealty of followers, but by and large there's a somewhat chaotic feel to the community. Alliances are nearly always temporary, fitting the need and mood of the moment. That said, the underdwellers themselves tend to be a bit less factional than those in other cities, often helping one another out without extracting too high a price. As with all the other undercities, San Francisco Below is an extremely dangerous place, full of danger and magic (much of it colored by Chinese and local Native American traditions). Beast: San Francisco's Beast appears as a massive, hoary Grizzly Bear. Like his more mundane kin, he is extremely intelligent, adaptable and a brutal fighter. He dwells in the subterranean caverns created by the San Andreas Fault which runs below the Bay. No one is sure how old this Beast is, but it rumored that his predecessor was killed in 1906, when a devestating earth quake nearly destroyed the city. It is unclear whether the Beast's death caused the earthquake or whether it was killed for causing it. The Prison: ghosts still roam the empty halls, no more able to escape the stone walls and bars then they were when living. Thieves, rapists and murders, the lost souls still retain much of their twisted ways and demonic personalities. They know much of the spiritual underworld, usually the darker rumors and blackest secrets. The Cormorant Colony: on the rough rocks of the island, a large colony of Brandts Cormorant makes nests and raises young every year. These wise seabirds hold much knowledge, passed from parent to chick, regarding the wilds and the sea. The Cormorant King rules over them all, as he has done for millenia. Like other cormorant colonies, the Alcatraz site is crammed full of birds, extremely loud and raucous, and quite smelly. Visitors will often be met with fear or aggression unless the visitor makes it known that he seeks the King. A major part of San Francisco Below consists of the backyards of numerous homes. Large Victorian-style homes were built up with their facades right on the street, leaving room for sizeable backyards. In the aggregate, these yards create fairly wide-open spaces within each city block. Many clever underdwellers know how to use these backyards to quickly travel from one part of the city to another. There are also often old, forgotten sheds from decades gone by that underdwellers will sometimes inhabit. Tunnels: Chinatown is home the largest number of secret tunnels in the city. Built mainly by Chinese immigrants in the latter half of the 19th century, these tunnels often lead to large underground chambers, dark pools full of danger and mystery, and even below the ocean itself. Some say that the right tunnel will give you a short cut right into Beijing Below. Magic: Chinatown also has the largest magical resources in San Francisco Below. It is quite possible to find an Arcanist or Eyeball and procure their services. There are regular markets comprised of only Chinatown dwellers. Also, it appears that there are some among the updwellers who can see and deal with underdwellers (though they may not always deal fairly...). Hidden Worlds: San Francisco Above is famous for its fog. In the World Below, it is more than a mere weather event. 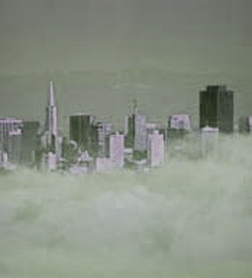 When the Fog creeps into the City, the very nature of San Francisco Below can change. Lost Souls, demons and other creepies become more bold. Whole neighborhoods take on a more gothic, dangerous feel. It is possible, too, that certain pathways, when followed in a Fog, will lead to other times and places. Just be sure you know how to get home. Wild Lands: The Park sits firmly in the middle of the city's largest residential zones and stretches for miles to the ocean. Within its boundaries, nearly anything associated with pre-developed California may be found: thick, scrubby hills; deep, dark forests; running streams; whole Indian tribes still living their lives as normal; even Grizzly Bears. What one finds in the Park is often dependent upon the entrance taken. Street Urchins: The Haight attracts youth like no other place in the city. They come from all over the world and then fall between the cracks, often well on their way to becoming an underdweller before arriving in San Francisco. Lost, hungry, tired and desperate, they make their living as they can--often begging during the day and evening and finding a place to sleep in the nearby park at night. Many of these youths are 'Twixts, able to interact with the updwellers and underdwellers alike, but unable to every truly belong. As such, they make good contacts for when someone needs something done in the World Above, and there are a fair number that may be hired as Bravos, thieves and assassins. The Rabble: Mission Street's underpopulation is probably the largest and most diverse of that in the City. There are numerous immigrants from all over the world (both Below and Above) and a fairly steady flow of updwellers who have "fallen through the cracks." Because of its size, the Mission offers a wide range of services and products, as well as some of the greatest dangers in the City. Many underdwellers have tried to wrest control over the residents, but none has succeeded, with the slight exception of the Chairman (see below). The Burning: The Marina is the one zone in the City that underdwellers cannot seem to access. In fact, they are actively repelled as they approach (will take stunning damage of the character's Constitution score +1D). Obviously, someone knows of the underdwellers and has wrought some magic to keep them away from the pristine homes and boutiques of the neighborhood. Even 'Twixts experience nausea and frequent hassling from police when they show up in the neighborhood. There are many rumors as to what is hidden in the Marina to require such a shield and, perhaps more importantly, who would have the power to create it. The Black Market: The Tenderloin Above is the most dangerous part of San Francisco. Filled with the poor, desperate and often addicted, the neighborhood itself is often run down and full of homeless. It comes as no surprise, then, that the Tenderloin Below is even more dark and dangerous. Few underdwellers will go there, and when they do, only if they too are extremely desperate. If they can afford it, they arrive with at least a couple of Bravos to watch their backs. But, as with all dangerous places, the Tenderloin also offers some of what others cannot. There, one may find reagents for the blackest magicks, information on demons whose names go unspoken, and hire services that would make most shudder to think of. Description: The Chairman runs the undercity in the Mission district with the iron fist, yet megolmanical flair, of a revolutionary Communist leader. He rejects the notions of the East Coast and European hierarchies, though, of course he has set up his own hierarchy on the West Coast. He has numerous followers, many of whom adhere to his orders with zeal. Language: English, Ratspeak (5D), Pigeonspeak (5D). Attributes: STR=2D+1, DEX=2D, CON=3D, KNO=3D, INS=3D+2, PRE=4D. Magicks: Beastspeak: Ratspeak (5), Pigeonspeak (5); Avoidance (5D); Suggestion (6D); Fluster (5D). Description: An ancient, hoary cormorant who stands about 5 feet tall (taller than his kin), is covered in rough brown feathers, has shining blue skin patches on either side of his head, and mesmerizing yellow eyes. 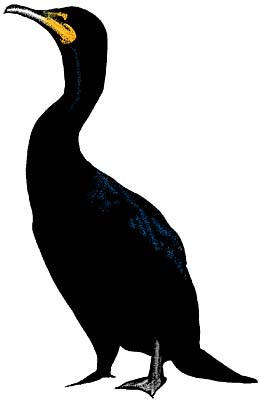 Language: Bird-Cormorant. Can understand English (and probably every other language). If a character who does not speak Cormorant asks the King a question, and the King decides to answer, the character will "know" the answer without hearing words or understanding how he came to have that knowledge. Attributes: STR=2D, DEX=2D,CON=7D; KNO=8D; INS=7D; PRE=8D. Skills: Unknown. He seems to know a lot--a whole lot--about history, past civilizations, ancient artifacts (especially those lost at sea), and other even more arcane lore. He also has a very commanding presence. Magicks: Unknown. It is rumored that he has a Pacifistic Bubble around him (STR=10D) which prevents anyone from attacking him or his nearby kin. He obviously has communication abilities as well. Description: Shrunken and bent with centuries of age, the wise Empress Han rules over San Francisco's Chinatown Below like a stern mother bear would her cub. Nearly everyone in San Francisco Below fear her wrath, and nearly all owe her a favor of one sort or another. Aside from a fair number of skilled troops, the Empress also employs a vast array of spies, informants and assassins. Further, Chinatown sits atop the most extensive tunnel system in the City, nearly every inch controlled by Han. Very little happens in the undercity without her knowledge. Language: English. Numerous Chinese dialects. She probably knows many others. Abilities: STR=1D+1, Dex=1D+2, Con=3D, KNO=6D, INS=7D, PRE=7D. Skills: the Empress probably has many more skills than those listed: Resistance 8D, Willpower-9D, Streetwise-9D, Tactics-6D, Sciences-6D, Arcana-9D, Profile-9D, Search-7D, Command-8D, Command-Imperial Guard-12D, Intimidate-9D. Magicks: Warping (9D); Avoidance (9D), Harm (8D), Augery (9D), and probably many more. Description: Fat and jolly, this old rake hides a dangerous mean streak under his exuberant persona. Falstaff is both clever and cowardly, often manipulating events to his own advantage without ever taking a risk himself. He has managed to capture the loyalty of many of the Haight's youths, often employing them as thieves and bravos for his schemes. They regularly give him a 40% take on what they have managed to beg or a steal (he finds ways of transfering upworld cash into useful stock down below). Falstaff is always game for a plan that will bring mutal benefit, and he can find almost anything, but don't be surprised if the terms of the deal change when he sees fit. Language: English, Ratspeak (6D), Pigeonspeak (7D). Attributes: STR=3D+2, DEX=2D, CON=3D+1, KNO=3D, INS=2D+2, PRE=2D+1. Skills: Brawling-5D, Melee Weapons-5D, Dodge-7D, Missile Weapons-8D, Resistance-6D, Willpower-8D, Streetwise-9D, Sub-geography: San Francisco-9D, Sub-biology: San Francisco-6D, Tactics-5D, Value-9D, Search-6D, Profile-7D, Command-6D, Command: Street Urchins-9D, Persuasion-8D, Con-8D. Magicks: Elsewhere-7D, Beastspeak: Ratspeak (6)d, Pigeonspeak (7D); Suggestion (7D); Mending (6D). Description: The Sisters have a dual existence in San Francisco. Above, they are a transvestite, transgender and gay activist group, with a heavy dose of humor thrown in. They exist mainly to ruffle the feathers of the uptight and too-straight. Below, the Sisters have developed a deep committment to helping the less fortunate (or even less fortunate) of the World Below. The Convent provides haven and healing to those who need it. While they cannot feed nor house all that come to their doors, they can provide some temporary services. Further, some of the Sisters have become quite skilled at combat and will act to defend a victim of violence. Lanugage: English. Members of the Sisterhood speak all of the languages that are found in San Francisco Below, and probably some that aren't. Typical Attributes: STR=2D+1, DEX=2D+2, CON=3D, KNOW=2D+2, INS=2D, PRE=2D. Typical Skills: Brawling-4D, Dodge-4D, Melee Weapons-4D+1, Missile Weapons-4D+1, Resistance-4D, Willpower-3D, First Aid-5D, Sub-geography: SF-4D, Sub-biology: SF-4D, Value-3D+2, Alchemy-3D, Education-3D+2, Search-3D, Intimidate-4D. Leader: Holy Mother Catherine of the Blessed Thong. Description: Mother Catherine, formally Bill Jenkins investment banker, has served as the head of the Sisterhood Below for nearly ten years. In that time, she has brought a new level of discipline and committment to the order. Mother Catherine is firm, confident and often serious, but she has a strong sense of humor and nearly endless compassion. She will not take sides in a dispute, nor commit members of her order to unnecessarily dangerous missions, but she will act as she sees fit to help the most people within her means. Skills: Brawling-5D, Dodge-7D, Melee Weapons-6D, Missle Weapons-7D, Willpower-9D, Resistance-6D, First Aid-8D, Medicine-4D, Alchemy-7D, Arcana-6D, Value-7D, Education-6D, Search-5D, Profile-7D, Command-7D, Command: Sisterhood-9D, Intimidate-7D. Magicks: Healing (7D), Mending (7D), Augury (5D), and probably many others.